Get cozy, grab your needles and plan for the perfect Fall/ Winter knitting season! We are keeping the inspiration coming with the launch of Brooklyn Tweed’s Wool People 12 collection. The trunk show is on display in store from 9/14 - 9/30. Our fave from the collection (it was difficult to choose!) 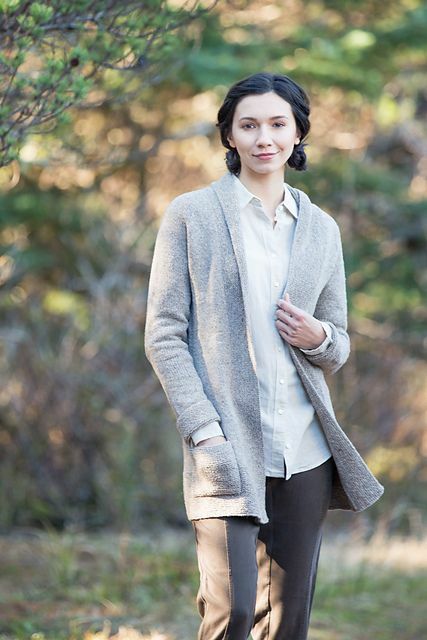 is the Willapa Cardigan by Annie Rowden. Purchase the yarn for any pattern in the Wool People 12 collection & receive that pattern free of charge. The cardigan is the perfect go-to piece that will truly go with just about everything in your wardrobe. Knit in woolen-spun Loft, the cardigan is warm, yet also weightless. The yoke is worked from the top down; the body and sleeves are divided at the underarm and worked separately to the bottom. The sleeves are worked circularly and the collar is picked up and worked flat with short row shaping. Instructions for optional patch pockets are included. Browse the Wool People 12 collection online or see the samples live at Wool & Company from 9/14 - 9/30.